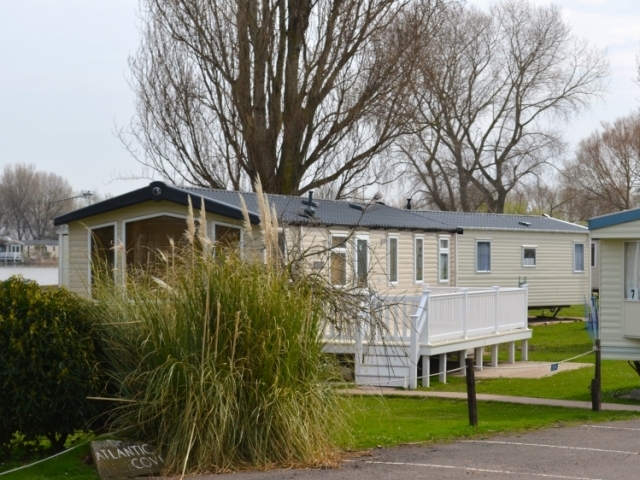 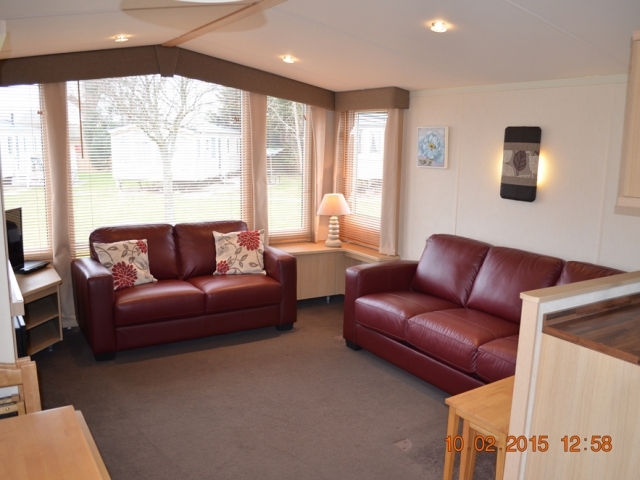 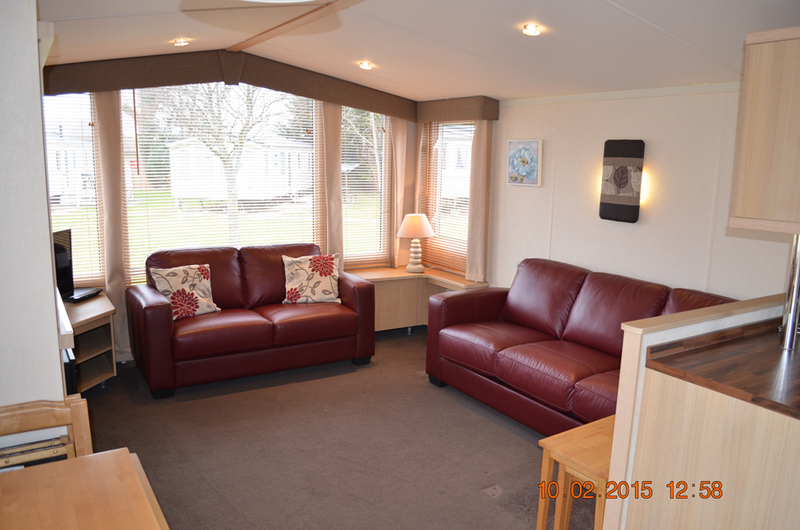 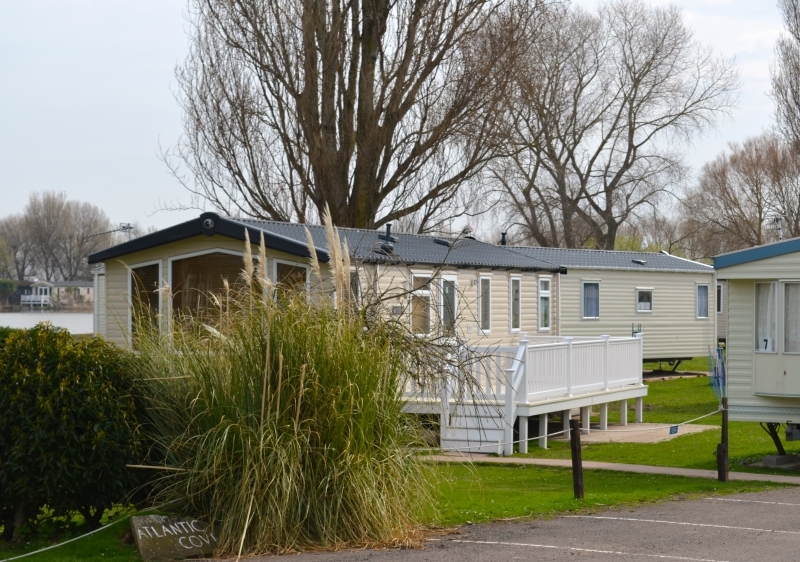 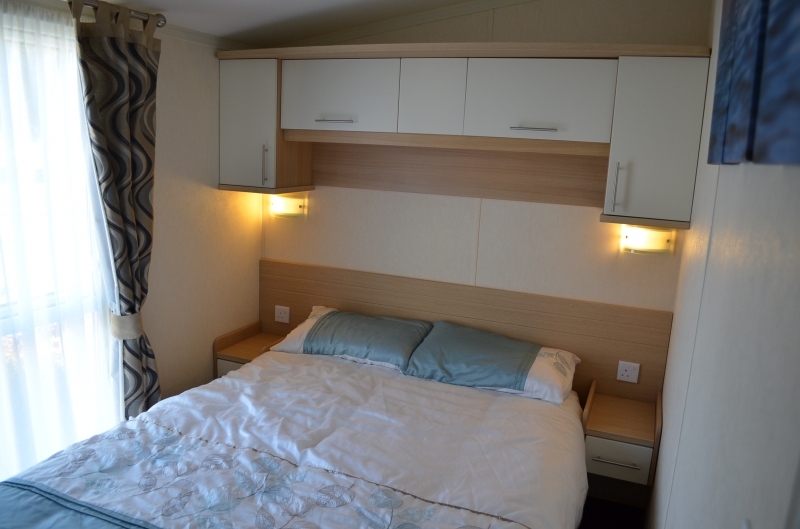 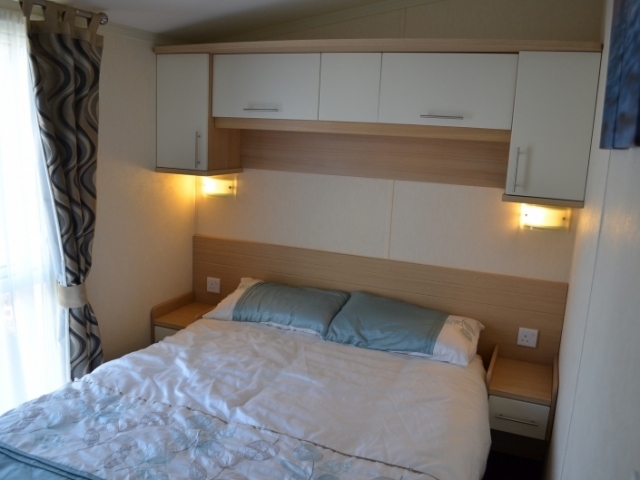 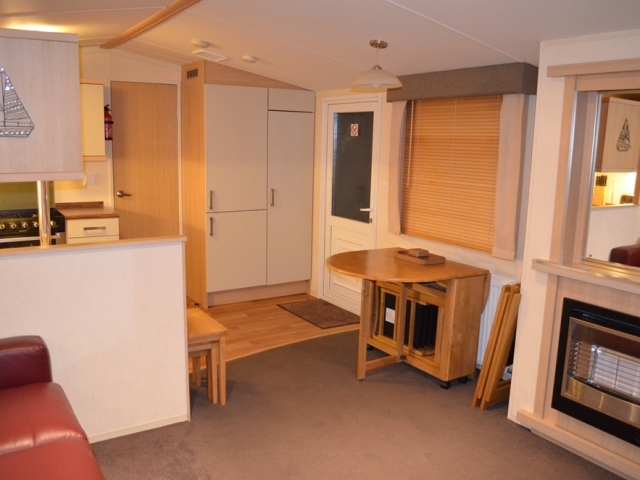 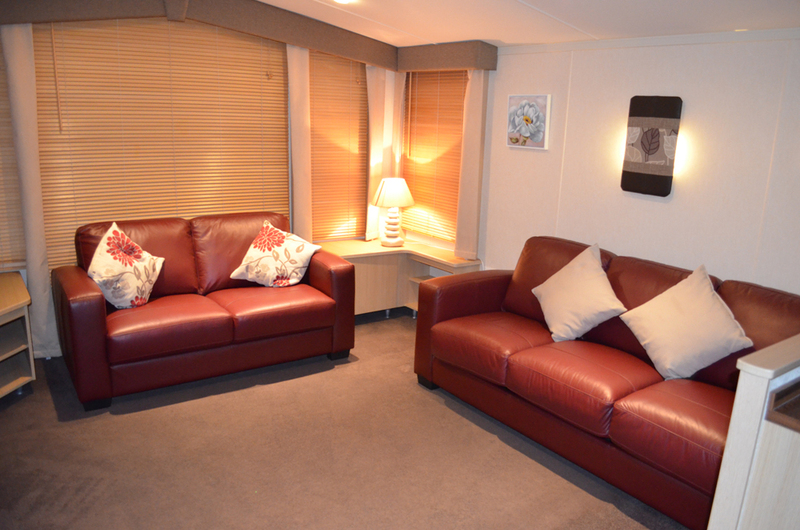 Our Moselle holiday caravan is 12’ x 38’ and can accommodate up to 8 people. 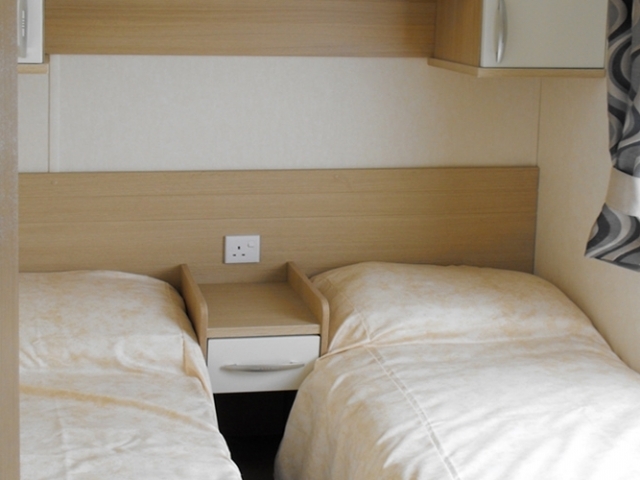 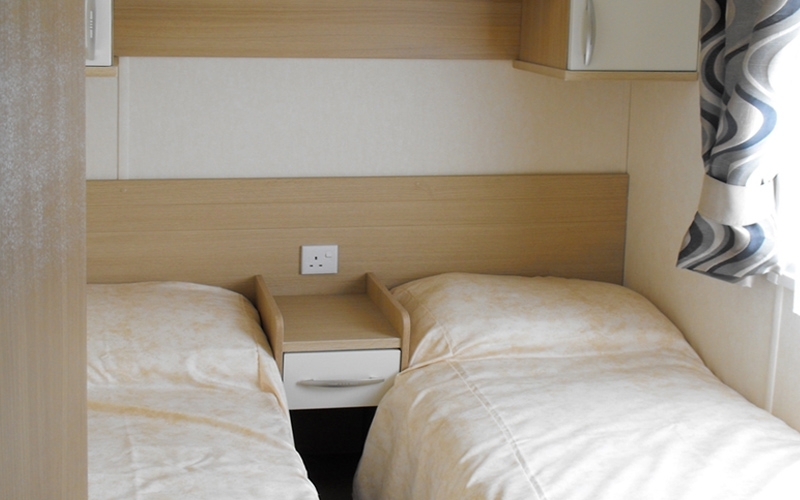 It has a double and two twin bedrooms, (the twin beds can be pushed together to make a double). 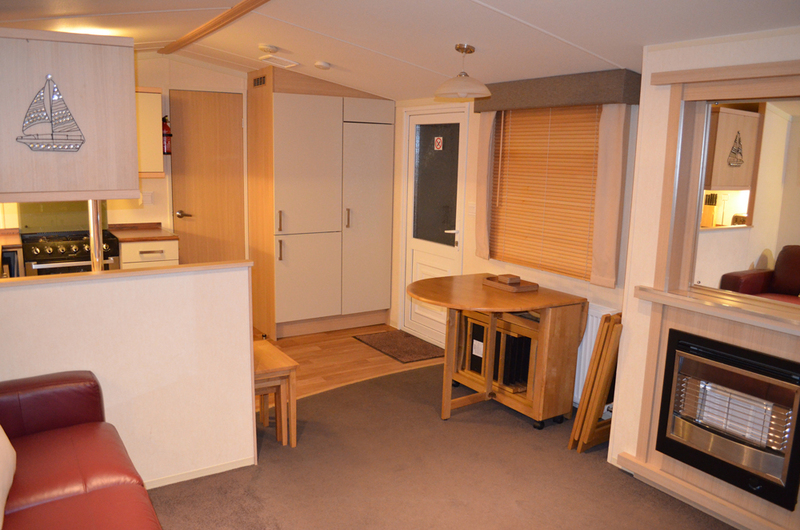 A shower, two toilets, and a kitchen and lounge/dining area. 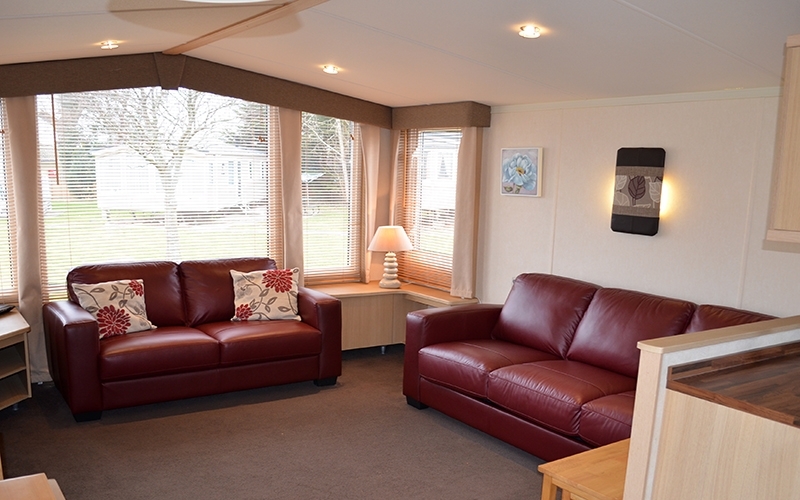 The modern sofa bed in the lounge converts to a comfortable double bed in seconds. 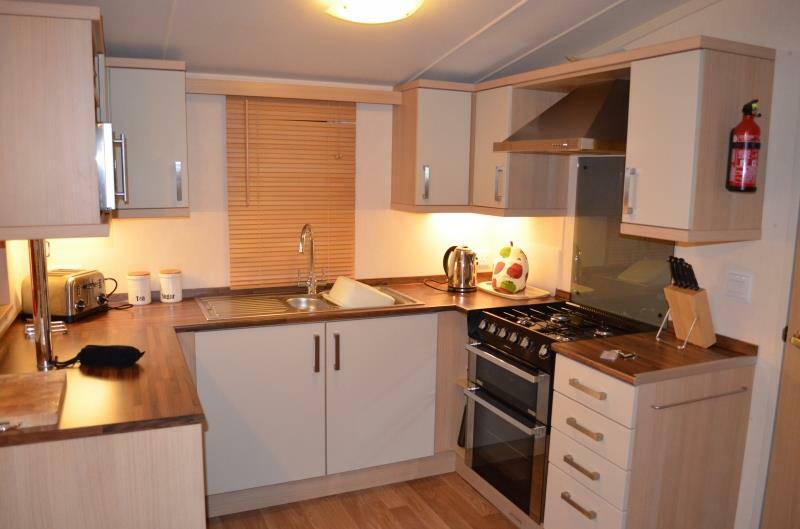 It comes fully equipped with a full size fridge/freezer, cooker with separate oven and grill, microwave oven, toaster, George Foreman grill and all the crockery, cutlery and utensils you will need. 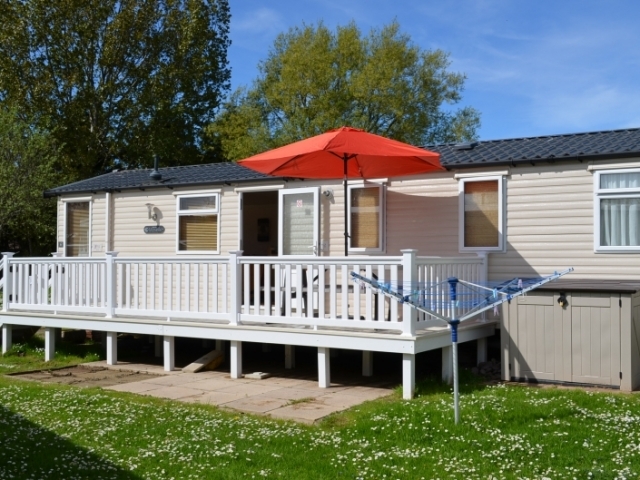 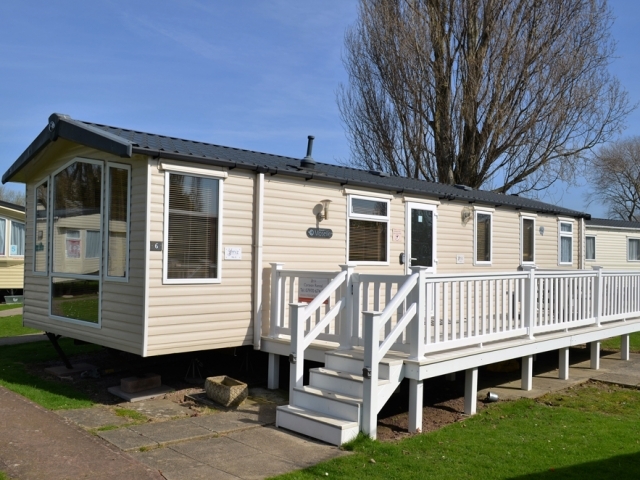 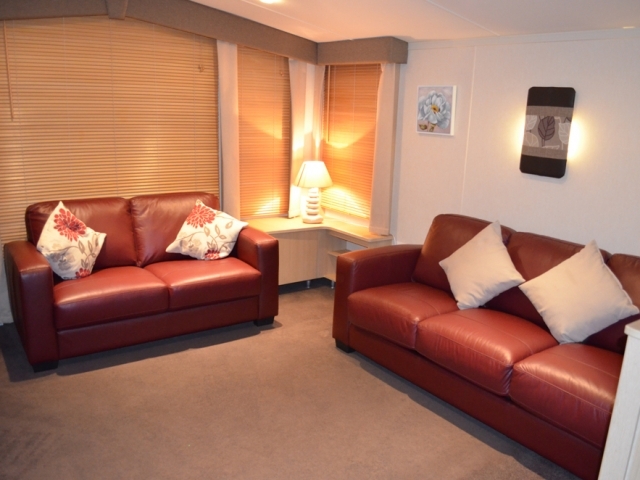 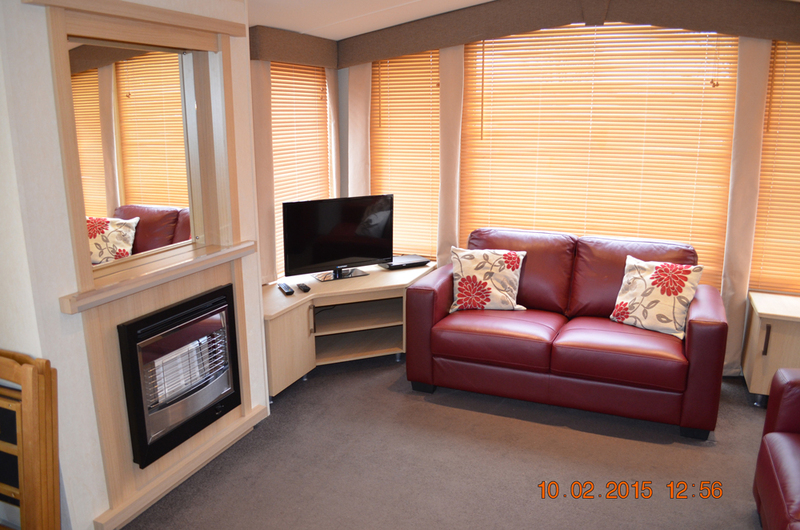 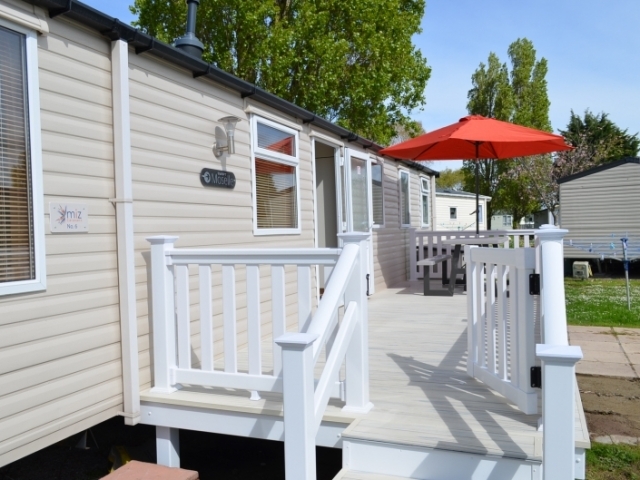 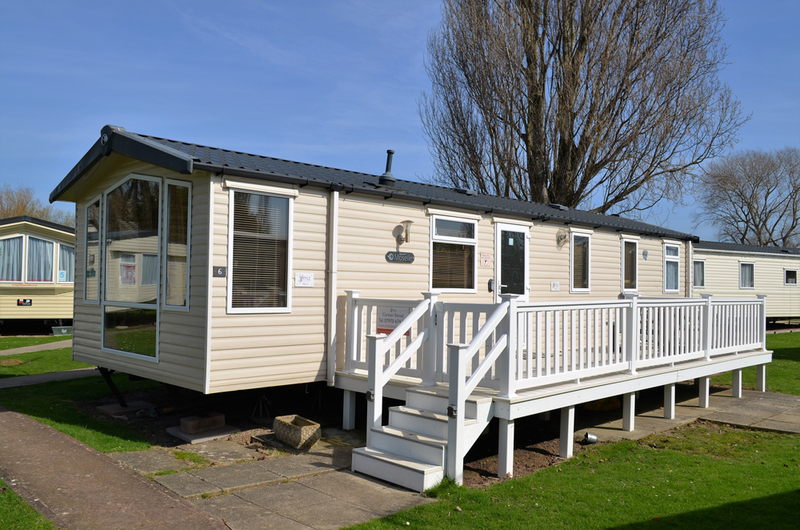 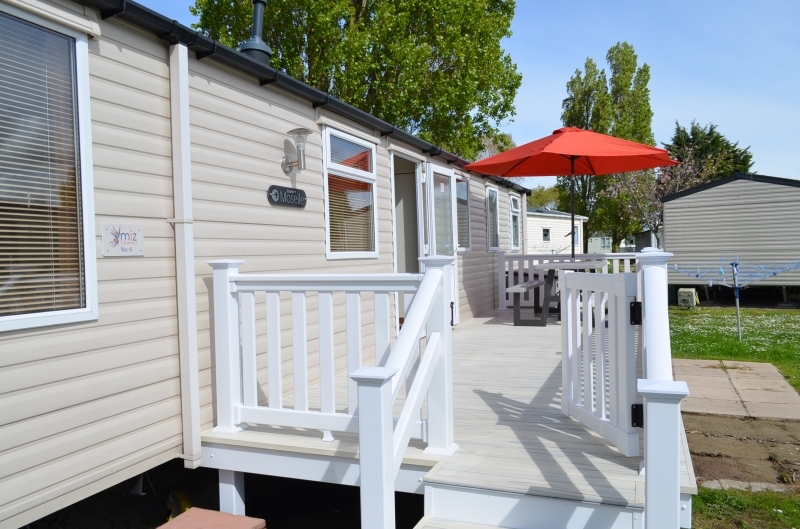 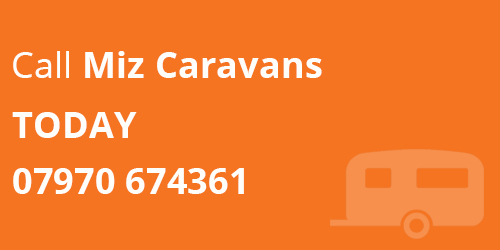 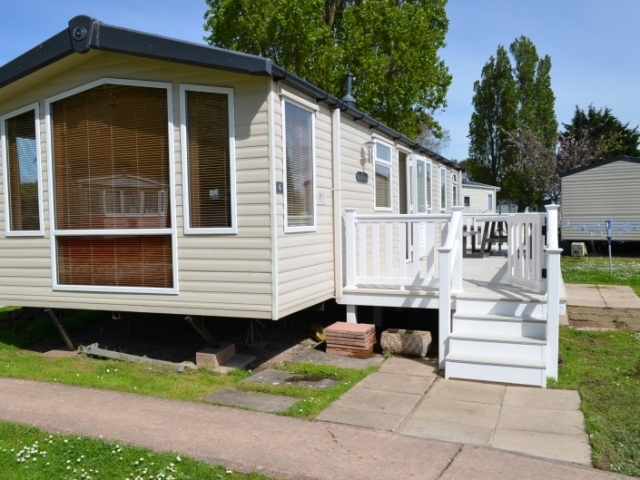 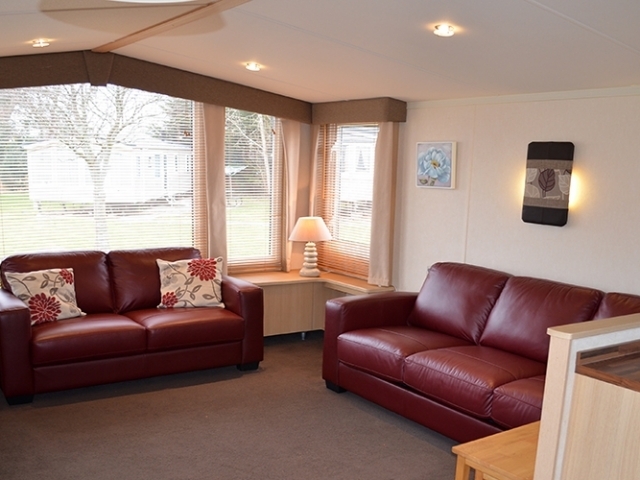 Double glazing, central heating and a 32″ LED TV with Blu-ray/DVD player help to keep you comfortable and entertained, whilst during the frequent sunny days in Minehead, you can eat or relax on the 24’ x 8’ sundeck added to the caravan in 2014. 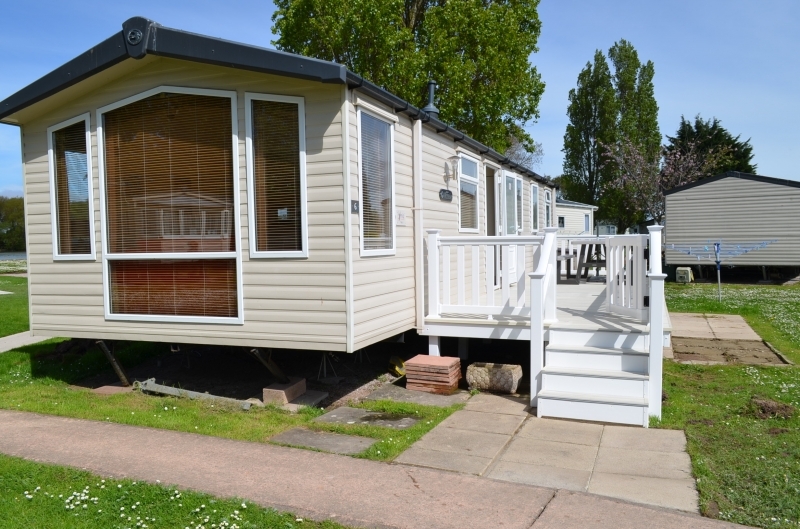 The whole area around Minehead is rich in interesting places, exiting history and spectacular scenery, as well as some fine local hostelries and restaurants. 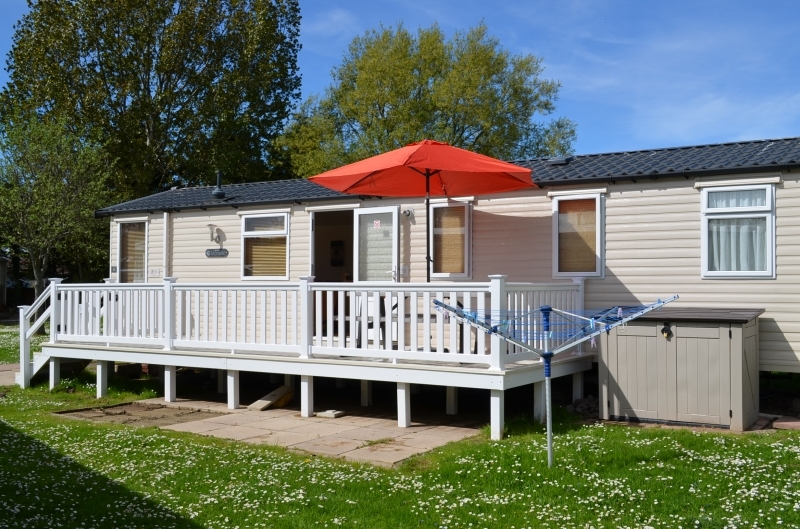 Most of the pubs and cafes in Minehead have pamphlets giving up to date information on the best places to go should you wish to spend some time out of the resort. 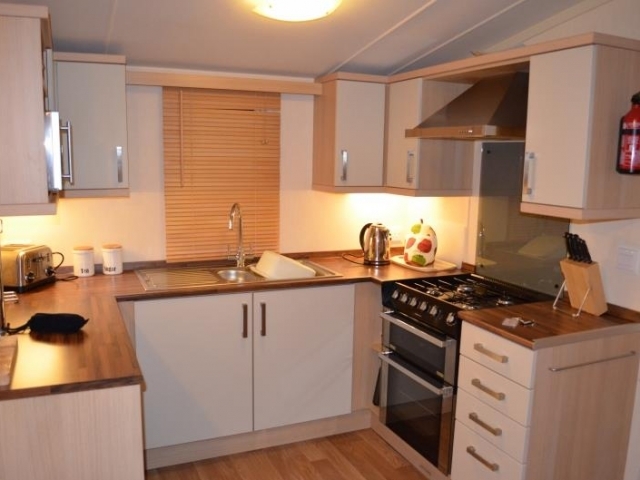 Toilet / Shower, 2nd Toilet, Gas Fire, Central Heating, Fridge Freezer, Microwave, Toaster, Iron, 32″ Television. 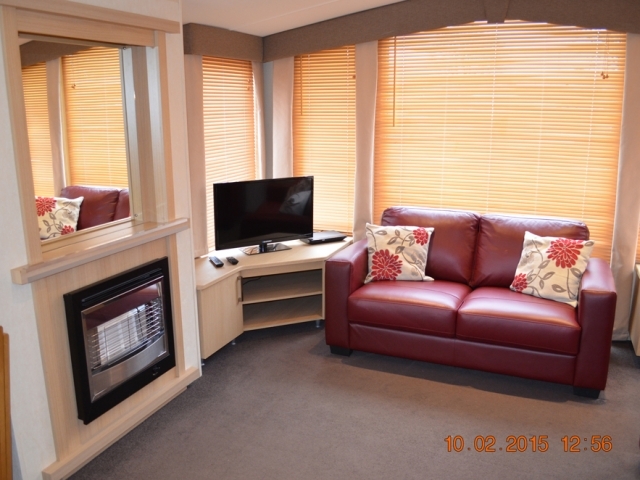 Blu-ray/DVD Player, Outside Storage, Parking Bay, 8″ x 24″ Veranda, Picnic Table & Benches, Gas Cooker, George Foreman Griddle, Hair dryer, Barbecue, Patio table, Clothes line.